Are You In Compliance with Health Codes? 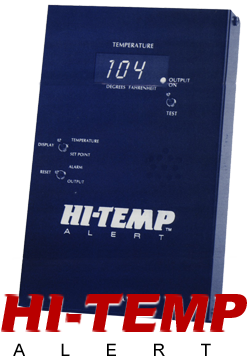 Hi-Temp Alert is a high temperature alarm with internal and remote signaling capabilities. It is used in conjunction with saunas, steam rooms, spas and hot tubs. The alarm is a set at a desired temperature. If the temperature rises above the set point, the alarm sounds and interrupts the power to the heating source. The heating source can only be reset by an attendant after the system has cooled to a point below the alarm set point. © 2015 Jenisse Leisure Products | All rights reserved | Web services by TAG Online, Inc.